We spend 90% of our time every day indoors. Plus, today's efficient, airtight homes are excellent at conserving energy, but that also makes them better at trapping potentially irritating particles inside the home. With the rising number of people who suffer from allergies and asthma, indoor air quality has become more and more important to our general health and well-being. What kinds of things are in my home air that might be affecting my family's health and comfort? Yes. Consider that the average home generates 40 pounds of dust for every 1500 square feet of space. While regular home cleaning is an excellent measure to reduce exposure to irritants and pollutants, it's simply impossible to remove enough of the material by hand to make your home's air as comfortable as it can be. 1) You might want to consider having your ducts cleaned. 2) Keep your filters clean and change them regularly. 3) Install a High Efficiency air filter. Whole Home Air Cleaners are designed to perfectly fit as a component of your total home comfort system. 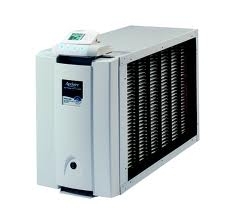 Unlike many air cleaners that are situated in a single room of the house, Whole Home Air Cleaners are installed and operated through the same duct work that your furnace or air conditioner might use. So even though it’s attractively designed, it operates out of sight of most living spaces to provide up to 99.98% cleaner air throughout your entire home. Filters should generally be replaced every month when the system is running. Replace filters with the same kind and size as the original filter. If your filter is not disposable, follow the manufacturer instructions for cleaning. Failure to clean or replace the filter can negatively impact the performance and life of your equipment. 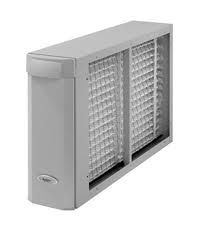 Your air filter should be located in either the blower compartment of the furnace, in an attached filter case, or in a return air grille in a wall or ceiling of your home. If you cannot find the air filter, contact Schuler Heating for assistance. If you are unable to find the appropriate-size air filter at your local hardware outlet, contact Schuler Heating for assistance.